Ginseng is a root that comes from plants that only belong to the Panax genus. There are several varieties available within this botanical genus, though the two most popular products come from Korean and Chinese ginseng. It grows in climates that are cooler, with versions found in Russia, Canada, and the United States as well. There are a few ginseng varieties that have adapted to warmer climates, such as P. notoginseng, which grows in Southwest China. The use of ginseng has been documented since the end of the 2nd century for traditional medicine and treatments. Data suggests that human populations may have been using ginseng products for over 4,500 years. American ginseng was first discovered in 1716. Since its discovery, it has had access to the Asia-Pacific market. It is often used as an opposite ginseng product with Asian ginseng varieties, often described as a “yin yang” experience. There has not been any high-level clinical research conducted on the possible medical benefits of ginseng. It may help with a person’s insulin response, improve memory, and reduce fatigue. There are, however, no formal health effects tied to ginseng within the medical community. Through 2025, the global dietary supplements market is expected to achieve a CAGR of 7.4%. 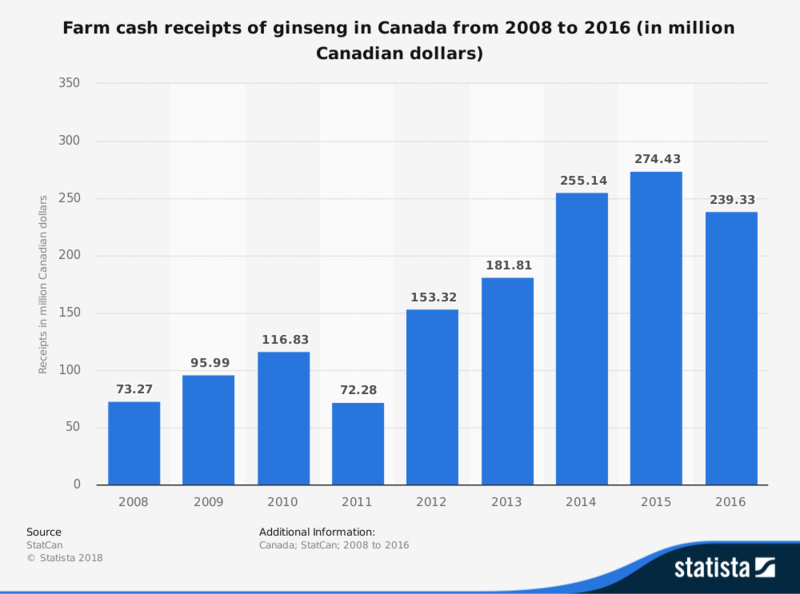 As an important component of this market, the ginseng industry is expected to remain strong. Trends within the industry will continue to grow specific segments, namely personal care, oral care, and food products. 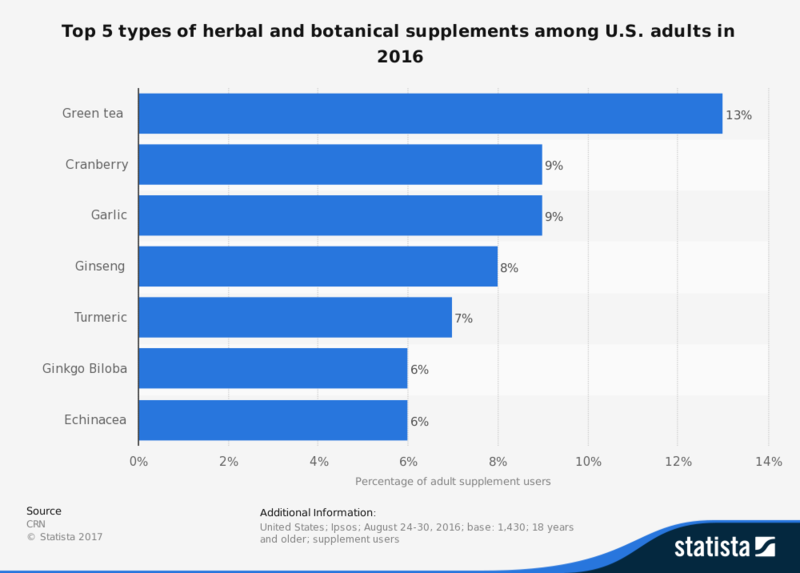 If high-level clinical research is completed during this forecast period showing that there are potential medical benefits for ginseng, then the medical segment for this industry will likely see explosive growth. Because there are high levels of uncertainty within this segment, however, it is difficult to predict any growth or contraction for medical use within the forecast period. Ginseng has also been recently seen as an energy booster. 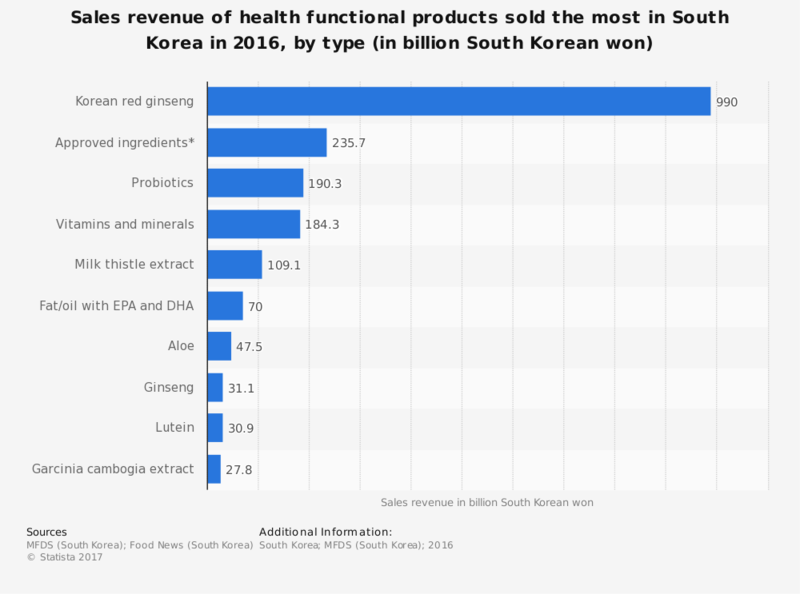 Demands for capsules will likely continue to increase, as will easy-to-consume products, such as ready-made teas, energy drinks, and weight loss products.